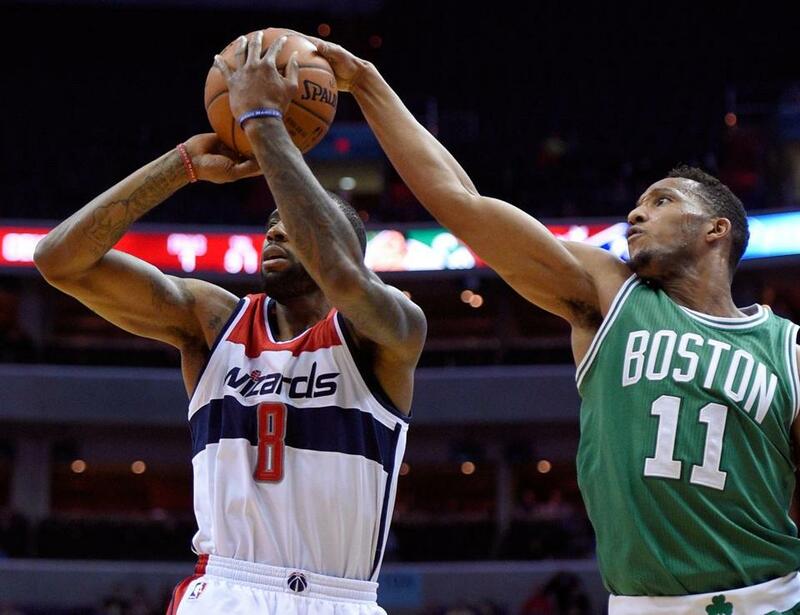 The Wizards defeated the Celtics 133-132 in a double overtime thriller in DC last night, bringing Boston’s brief three-game winning streak to a close. As far as grit and determination go, this was probably the C’s best performance of the season. I don’t think anyone was surprised when they found themselves down by 23 points in the third quarter on the road on the second night of a back-to-back against the second best team in the East. What was surprising was the fight they showed in the 4th quarter and overtime. The sort of fight that we haven’t seen from this team since the departure of KG and Pierce, and it was led by the bench. Evan Turner sparked the 4th quarter rally by putting together a string of baskets and finally burying a buzzer beater three to send the game into overtime. Turner finished the night with 18 points, 8 assists, and 6 rebounds. Marcus Smart had the best game of his young career, dropping 23 points and making a tremendous impact with his stifling defense down the stretch of the 4th quarter and overtime, putting to rest any doubt that he is back to 100%. Kelly Olynyk appears to have overcome his recent struggles as he posted a double-double with 19 points and 11 boards. Because of the effectiveness of the bench (and perhaps the ineffectiveness of Rondo at the end of games this year), Brad Stevens decided to bench Rondo and Sullinger for the final 15 minutes of the game. The decision didn’t seem to affect them as they were visibly enthusiastic and supportive from the sidelines. Jeff Green was the only starter to play significant minutes in overtime and he finished with a team-high 28 points. For the Wizards, the best player on the floor was John Wall, who posted 26 points and a career-high 17 assists. The leading scorer for Washington was our old friend Paul Pierce, who’s 28 points included a clutch three to tie the game in overtime. The Celtics take on the Hornets in Charlotte tomorrow night. Tip-off is at 7:00 pm ET. Previous Did Nick Young just admit that Sully was in his head?